Long before many (British) historians started to doubt if the infantry brigade of Major-General van Bijlandt was positioned behind the hollow road and thus was secured by the ridge from any destructive fire from the French Grand Battery, numerous sketched maps were made by the involved officers. One of these was made shortly after by the chief of staff of the 2nd Netherlands Division, Colonel van Zuijlen van Nyevelt, which we show here. Another one was made by van Bijlandt himself shortly afterwards, also showing the brigade to be positioned in full protection of the ridge from the start of the battle. For similar evidence look at an older post we made here a year ago, regarding the Hanoverians that collected mapping material for Wlliam Siborne, which he ignored at the time. 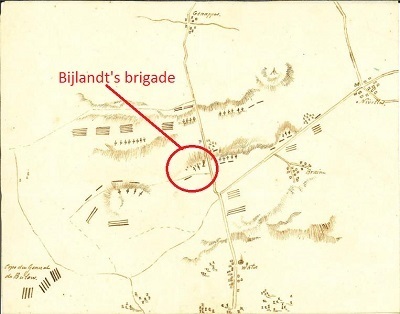 And had been ignored ever after: Bijlandt's brigade behind the hollow road. With Craan's map of the battle dated 1816, we now thus have a total of four (4!) further documents in the form of (sketched) maps that reveal Bijlandt's brigade was behind of the hollow road from the start of the battle. All of this is ofcourse further corroborated by the many accounts of veterans from 1815 who fought that day in this brigade at Waterloo, which we have published. Sketch of the battlefield of Waterloo, by Colonel (chief of staff) Van Zuijlen van Nyevelt. If you had any doubt that this subject was still a controversy on the battle of Waterloo: No, it no longer is! You can all read about it in our book Standing firm at Waterloo, directly available here for ordering online. 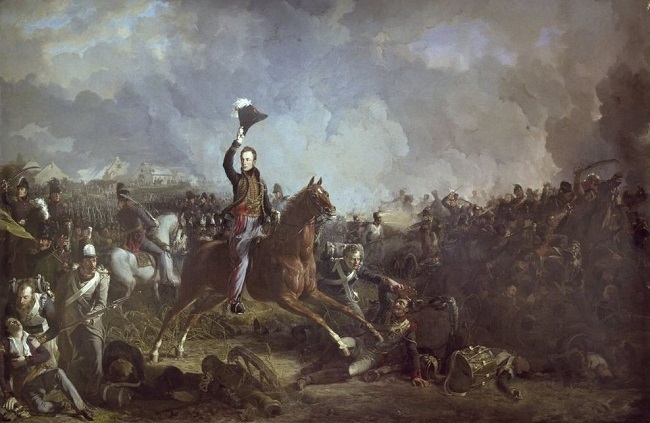 It was only because of the Dutch-Belgians who held their ground between Nivelles and the crossroads of Quatre Bras, that at the latter place on 16 June 1815 a battle took place to halt the French armies marching further to Brussels. For more than an hour the Dutch-Belgians held their positions against an overwhelming number of French troops. When the Duke of Wellington arrived at the scene, after his talk with the Prussian fieldmarshall Blücher at Ligny, he could only agree with the dispositions of the troops made by the Prince of Orange. And above all the duke acknowledged the fact that in his absence the young prince had meanwhile ordered further reinforcements and deployed Picton's 5th British Division. 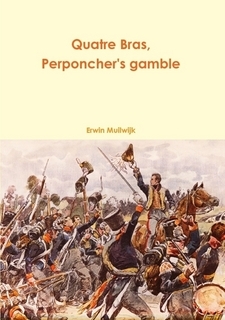 Read all about the Dutch-Belgian perpsective on the battle in our book "Quatre Bras, Perponcher's gamble". Find out all there is to know from the Dutch-Belgian perspective on the battle of Waterloo, or everything else there is to know through our series of books "The Netherlands fieldarmy during the Waterloo campaign". Check out the reviews our books received, as well as the previews online available. Visit the Books menu and directly make your online order from there. Easy and quick! 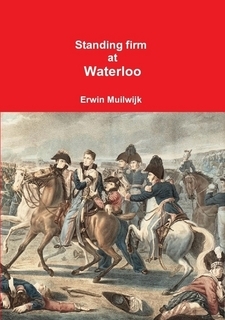 In three volumes we present the hitherto largely unknown history of the Dutch-Belgian army in the 1815 Waterloo campaign. New research in archives and a wealth of mostly unknown eyewitness accounts from Dutch, Belgian and Nassau officers and soldiers, provides more knowledge on the battles of Quatre Bras and Waterloo. Especialy on their role in the early hours of the defence of the crossroads of Quatre Bras, or that Bijlandt's brigade was behind the hollow road from the start of the battle of Waterloo, how exactly the Prince of Orange got wounded while leading a brave countercharge to secure the weakened Allied center, what precisely was the role of general Chassé's troops in the fight against the Imperial Guard and finally, how was one Nassau battalion able all day long to withstand the French assaults in the Hougoumont farm (together with the British defenders). These three volumes on the role of the Dutch-Belgians in the Waterloo campaign add more information to the general understanding. And moreover, it is not chauvenistic, but critical where necessary, and with ther addition of hundreds if not thousands of new primary documents in fact the largest contribution to this history in the past few years. Truly a wonderful addition to your library! And let's not forget.... a fourth volume is being prepared to complete this history of the Netherlands field army in the 1815 campaign. 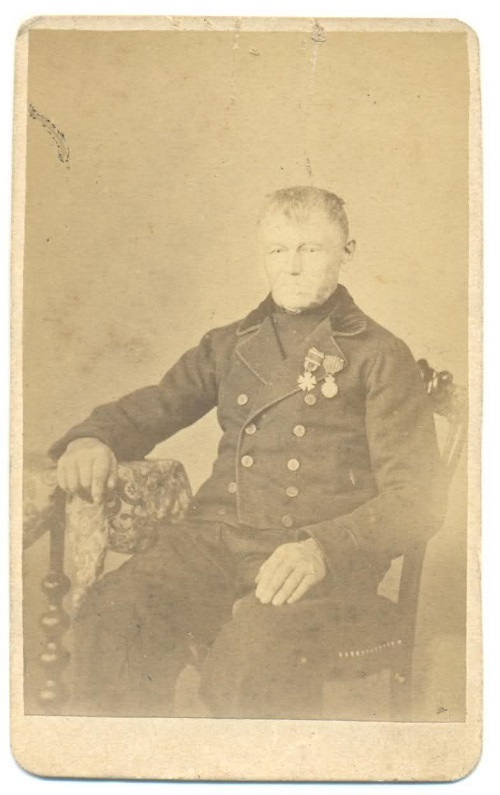 The history we present in our publications on the role of the Netherlands field army in the 1815 Waterloo campaign, could not have been told without the voices from the past of numerous veterans. They left us a great number of eye-witness account in letters written back home just after the battle, or published these in memoirs, diaries & journals, or answered questions about what they remembered to historical writers on the campaign in later life. These accounts add up to more than 200 memories! Without their accounts, it would have been impossible to get so close to the events and inside the battles fought. It is the reason why we here at Sovereign House Books decided to incorporate as many of their stories into our publications, so that you, the reader, can get as close as possible as well. Let us honour some of these veterans from 1815, who did not leave us their accounts, but nonetheless are part of this history! Let us honour all these veterans! Look here for a few more of these Netherlands veterans!